This isn't just about me, yanno. Check this out! Note: Starting January 30, 2012 and no later than January 30, 2014, all CDL holders must provide information to their SDLA regarding the type of commercial motor vehicle operation they drive in or expect to drive in with their CDL. Drivers operating in certain types of commerce will be required to submit a current medical examiner’s certificate to their SDLA to obtain a “certified” medical status as part of their driving record. CDL holders required to have a ”certified” medical status who fail to provide and keep up-to-date their medical examiner’s certificate with their SDLA will become ”not-certified” and they may lose their CDL. Follow link above for more info. Someone shared this interesting You Tube tutorial on making Mozzarella, which suits me well. I'm not a strong proponent of "cooking" in the microwave, but this only uses the nuke box to keep the cheese warm, not cook it. I have made Queso Fresco in the past, which is similar (more like a Ricotta). Really. Why bother? There is so much good tasting, easy to obtain and eat foods out there. Fast food, packaged stuff off the shelves, salt and fat and sugar, oh my! Well, let me tell ya, from experience, the effect of what we eat has on a body. Keep in mind, it's not just what we eat, but all other substances we ingest or inhale, our personal lifestyles and exercise habits, and our mental wellness as well that contributes to our total well being. But, for this post, I will concentrate on foods. No, I am not a granola-head, tree-hugger, Euell Gibbons type of person. Not that there is anything wrong with that. Nor am I the strict meat-and-potatoes type either, though I love a good steak. I will not propose a miracle diet nor state any one food type is better over another. I believe in balance. Wholesome, nutritious foods, like our forefathers used to eat. Before complex pesticides, GMOs and shelf-life-increasing preservatives. Not that all preservatives are bad. 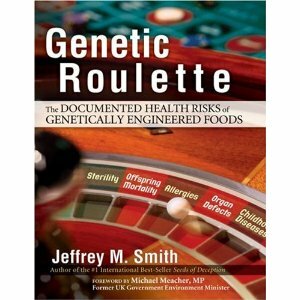 I do not recommend eating tainted food, even naturally tainted! I am a person who, at an early age, had good, wholesome, even home-grown foods to eat. Then I suffered from mal-nutrition. Then I went to college and learned the, dare I say, "value" of fast and junk foods. NOT. Now I am 48 years old with Parkinson's disease, asthma and rheumatoid arthritis, an ulcer and suffer from migraines. 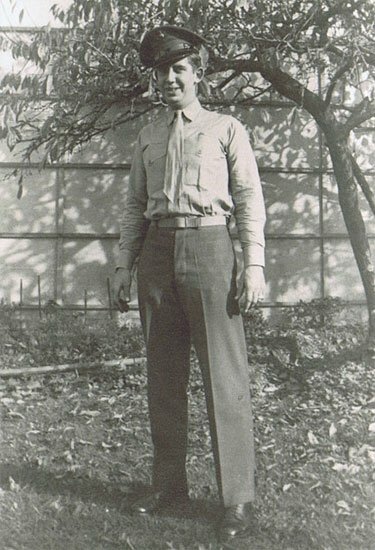 And, oddly, I am better now than I was a few years ago, when I had to walk with a cane to get around, and was very sick, almost constantly. Since improving my diet, or eating habits as I prefer to call it, I have been healthier than I was. I also have a 57 year old husband who is a very healthy, younger-looking truck driver. So, what is good, healthy food and why should we bother with it? A healthy, balanced diet (or, eating habit) contains all the elements a body needs to grow, replenish strength and health, provide energy and keep the body functioning at an optimal level. These elements include essential protein, amino acids, vitamins and minerals. While every body needs every available nutritional element, some need more of one thing than others. Much depends on one person's individual metabolism. For instance, I am a protein burner, and require more protein than carbohydrates. Complex carbohydrates give us the quick energy we need to function, so we all need them in one form or another. But if I don't get my share of protein, I get weak and shaky. I find that a good portion of protein plus a portion of a complex carb, such as a piece of fish, chicken or steak, with broccoli and an orange is perfect for my metabolism. Some need more carbs and some need other nutrients in greater quantity. I have found that the good foods that make you feel energetic after you eat them, for a couple of hours, and not make you feel sluggish, are the foods that boost your metabolism. Someone told me that once and I found it on various other sources, but mostly found it to be true with my own eating habits. Also, interestingly enough, foods that are "in season", such as fruits and vegetables when they naturally grow, are best eaten at those times and give the body what it needs for the season. A good article on this is Benefits in Season. Body for Life has a good list of what are considered, for the most part, good foods and what should be eaten in moderation: http://bodyforlife.com/library/food-list I am in agreement with most of it, however, I find that dairy fats (milk, butter) to be more on the healthy side than not, with moderation and care that they don't contain extra substances. It was once thought that I was lactose intolerant. It turns out I am only intolerant of milk products that are full of hormones, preservatives, extra vitamins and are homogenized. I get my milk products from an Amish farm supplier. Why fruits and not juices? 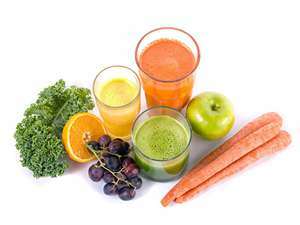 Juices tend to contain water (which is good!) but also preservatives and processed sugars. Sometimes they aren't juice at all, but flavorings. Many fruits and vegetables loose much of their nutritional value shortly after "juicing" or cutting open. So have a piece of fresh fruit or vegetable, or juice them yourself. One of the benefits of fresh vegetables and fruits - you can eat a lot of them (esp. vegetables) without gaining a lot of calories. 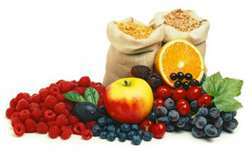 Fruits contain natural sugars your body craves and provides long-lasting energy that won't damage your liver. See the Page Tab "Previous Writings" for more info. I mean, I can get what I need from a vitamin and just eat what I want, can't I? Maybe. The body only absorbs so much from a pill. Sometimes, supplements can pass right through a body without being absorbed at all. I am not knocking supplements, or medication, when necessary. But, when one is on a good, healthy eating plan, one gets the nutrition one needs in a way the body can absorb it and use it properly. Eating properly ensures you are getting what you need. And you aren't filling up on poisons. Not only is eating healthy foods the best way to get nutrition, but there is also the danger of processed foods and their effect on the body. One might get vitamins and minerals from a supplement, but eating nothing but processed "junk" foods can poison the body. Preservatives, hormones, processed sugars and salts and artificial additives have a severe and adverse affect on our health. Everything is chemical and there are chemical reactions. When we ingest anything, our digestive system is set up to handle the good and the bad, within limits. It pulls out what the body needs and gets rid of the rest. When the body is overwhelmed with "foreign" substances, the liver is put into overdrive. Too much of these causes problems such as fatty liver disease and diabetes (see below for links). Other problems include obesity and heart disease. One of the problems facing truck drivers right now is mandatory medical examinations for sleep apnea with those with obesity based on the body mass index. The purpose of the liver: "Some of the functions are: to produce substances that break down fats, convert glucose to glycogen, produce urea (the main substance of urine), make certain amino acids (the building blocks of proteins), filter harmful substances from the blood (such as alcohol), storage of vitamins and minerals (vitamins A, D, K and B12) and maintain a proper level or glucose in the blood. The liver is also responsible for producing cholesterol. It produces about 80% of the cholesterol in your body." (http://www.mamashealth.com/organs/liver.asp). Too much processed sugar can lead to a sugar addiction which can lead to diabetes and overeating, as it affects the body's triggers to when we feel full when eating, bypassing those triggers and creating imbalances such as with insulin. These can lead to obesity which brings with it a myriad of other issues as stated above. Above all, drink lots of water. Water is essential for a healthy and well-functioning body. Finally, exercise. Exercise helps your body absorb and process much of its needed nutrients, as well as maintaining a healthy cardiovascular system. It also helps you sleep better and just feel better. Trust me, I know! So, there you have the reasons for healthy eating. May you be healthy and live a long, strong life. See the Page Tab on Videos for more information. And I was thinking, another group of people who would benefit from the book would be church folks cooking for someone who needs a hand - such as someone who just had an operation or the elderly. I remember doing that for folks myself. Berry filling for pies - cooking. From frozen blackberries I had put away weeks ago. ... gardens, that is. If you can. I love gardening. You can even grow things in pots if you don't have a lot of land around that you can grow things in. I did that when I lived in an apartment. It was tomatoes and herbs mostly. 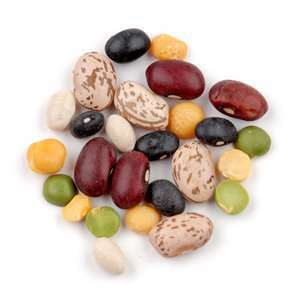 Preserving home-grown foods is easy with either canning or freezing, or even drying some things. 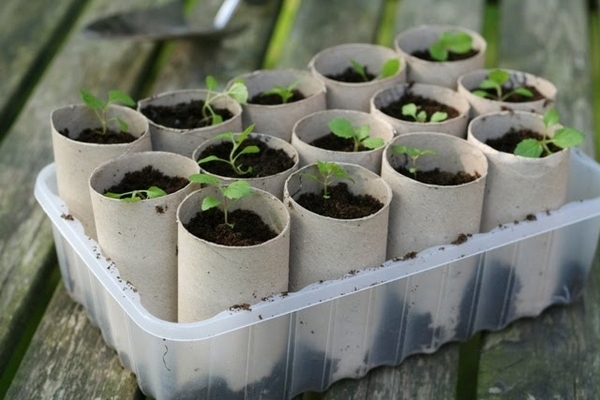 Gardening is an excellent project for homeschool (and non) kids! Like all things, planning is the key and knowing what you can grow where and when. Start with things you love and that are easy to grow. We started with herbs that I use in cooking and tomatoes. When we were able, we expanded to other things like cucumbers and made lots of pickles. Cut the toilet paper roll in half. Place each in a well of the egg carton or in a tray. Fill halfway with dirt. Plant a few seeds, add more dirt. Water and watch grow! Then plant the whole thing (great with the egg carton, just cut up) in the ground. And, if you can't garden, find a good produce stand or farmer's market. It's worth it!! One of the best books you can get for gardening (esp if you are in the south) is The Southern Living Garden Book. Are Systemic Pesticides To Blame for Honeybee Colony Collapse? And, no, I'm not talking about the folks at the company the driver calls in to. I'm talking about the family at home. Those who wait patiently and most times worriedly for their driver to come home. Especially the spouse or significant other. Or even the good friends who check the mail for the team or the single driver out on the road. As a previous driver myself, I know what it's like to be out on the road. It's a hard life. It's a good life and I enjoyed the travel and the work. But it's long hours and oft times lonely miles. It's a cold jog through the snow or sleet from the cab to the truck stop, or the soaked rag from wiping the sweat off the face while winding landing gear on a blacktop in 110 degree heat. It's the waiting, without a load, knowing a budget has to be met and a family supported. It's thankless, ruthless shippers or receivers (not all, but some) sitting in their heated or air conditioned buildings complaining when the driver won't take more than the weight allowance, or when a driver is 15 minutes late due to a 20 car pile-up on the Interstate. It's the adrenaline rush when a small car whips out in front of an 80,000 lb rig on the highway and suddenly stops. It's wrong directions and a driver suddenly facing a 12-foot bridge on a two-lane road, at rush hour. It's the Owner/Operator with a sudden and very expensive equipment breakdown. It's the judgmental attitude stereotyping of the ignorant that all drivers are overweight, lazy, dirty, selfish and rude (though, sadly, some are). It's the impatient and intolerant who don't want the trucks on the road, but are the first to complain when what they want isn't at the store or shop. It's the missing of family and friends to get what needs to be got to where it needs to go. On time. Being the spouse of a trucker is not easy, either. It's especially difficult for the kids, not seeing dad or mom for weeks at a time. The separation, the worry, knowing all that goes on, out on the roads of America. I have it pretty lucky, my driver spouse is local (mainly because of my health issues, he has to be close to home) but we've had to deal with long separations and him being out on the open road. And we've had the "holier than thou" attitudes from those who think truckers and their families are less than dirt. But we strive to support our driver. We strive to make the best of the times they are home. 1. This reminds me that one of the sub titles I had come up with was "the care and feeding of your truck driver." One of the ways I support my driver is to make sure he is healthy. In order to be effective in any job, one has to be healthy. And I mean healthy in all aspects - mentally and physically. He knows we support him by our positive attitudes and understanding. I do my best to provide him with the support and the "tools" he needs to be healthy in his very demanding job. And yes, I am a homemaker, but I have done this, with an over-the-road driver (kinda like being a single mom), while working a demanding, full time job, plus a part time job outside the home as well (with a one-hour-one way commute). And raising/homeschooling his child, a special needs child with Asperger's. and taking care of a home and household budget. All this with Parkinson's, asthma and rheumatoid arthritis, and for a long time, walking with a cane. It's the same mentality that makes a person keep going when a single parent, going to college and working full time - at the same time. I share all this to show it can be done. In all this, I make time to support my driver. A question came up regarding the book, about how is a busy spouse supposed to deal with all this cooking for their driver? Can't it be "quick and easy?" If there is one thing I know, it's cooking. I've been doing it for over 40 years. With real food, not canned/boxed/pre-prepared. Society has come about with "quick and easy", fast food, ready in 5 minutes due to demand from people who just don't have time. Unfortunately, whenever we seek a change in something, we usually have to compensate with a sacrifice elsewhere. Quick and easy has sacrificed, for the most part, fresh and healthy. In my studies of health and the effects of "foods" on the body, so much we have created to save time has not so good affects on the body and health. Is it any wonder that the alarming increase in problems such as diabetes, heart trouble, obesity and other such ills have mirrored the increase in processed, additive/hormone and sugar laden foods? I'm not saying a trip to your favorite fast food joint or the occasional treat off the junk food isle once in a while is bad. But "quick and easy" has become more a habit than a necessity. I've done my best to come up with ways to save time while cooking, but not sacrificing good, wholesome foods. You can have "quick and easy", or you can have "healthy foods" and learn time-saving ways to prepare them. One of the ways we've made time for "better things" in our family, more time to cook or read or just spend time together, is to cut out television altogether. Am I saying TV is bad? No. Just one of those things that we can easily fall into and spend hours staring at, with no real value coming back. I love the History channel, and Animal Planet, and various other shows like Doctor Who. However, I've had to make choices - what is best for the family in regards to our budget (have you seen the cost of cable/satellite lately?) and mental/physical health of our family. Such as, I love to work out. It keeps me walking without a cane. Do I have time to work out? No, I make time. I budget my time as strictly as I do my finances. Because my health is important. Even just cutting back can give us hours to do other things. We have the Internet, which provides us with news, information and entertainment. We have so many cultural and local things we can do - such as our weekly trips to the library and coming home with our upper limit of books. There is always a way to find time. 2. Another question came up about over the road drivers and how to get them good food when away from home, weeks at a time. Hey, this is one of the main reasons I wrote the book! A driver can carry foods and make them in the truck, or can take them from home. Unfortunately, there is only so much space a driver has for food, especially foods that need to be refrigerated or frozen. So, after a few days, what he/she has brought from home has been consumed. Then what? Buying prepared foods is not always healthy, and eating out all the time not only is potentially unhealthy, but expensive. Prepared (quick and easy) and restaurants should be sometime fill-ins only when necessary. The exception, rather than the rule. One of the ways we made sure our driver had good food, and this depends on where your driver goes, is to find a meeting place when they are "in town". My driver at one time was out all week but didn't have enough room in his cooler to carry a week's worth of meals. We came up with a plan to meet him at one of his receivers, or the truck stop within driving distance of our home. We'd have meals made up and in the freezer, and would take as much as he could hold to him at the meeting place. This is where the bulk cooking and freezing session comes in real handy. He'd call when he knew he would be near town and we'd arrange to meet, and pick up his "empties" to take home and clean. Yes, I did this while I was working both a full time and a part time job, and with a small child. 3. Above all, we remain flexible. We organize and plan our family, our time, our money (because truck drivers don't usually make scads of money as once thought and it's determined by loads and miles, no guarantees), and all aspects of our lives with a certain amount of flexibility and understanding that plans can change in a heartbeat. We rely on ourselves for our happiness, and choose, wisely, those things which make us truly happy and bring us the best rewards. It's all a matter of planning and organizing, which really doesn't require a great deal of time nor a college degree to implement. One thing I love is family history. When that crosses over with cooking, it's even better. I acknowledged in my book those who have helped to make my book possible. One of those is my mother. She taught me the love of cooking at a very early age. 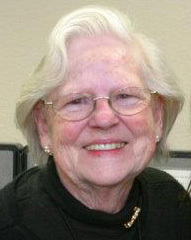 I am so grateful to her for all she has taught me. And she's still a fantastic cook! Along those lines, I wish to share my great grandmother's cookbook, which I inherited. There is only one copy, hand written, and I have it. I'm in the process of making a cover for it. It's a cherished heirloom that will pass on to my daughter, Ash, when the time comes. This book was written by Louisa E Pollard, wife of William S. Pollard of Fayetteville, Arkansas, in 1902 (on my dad's side). 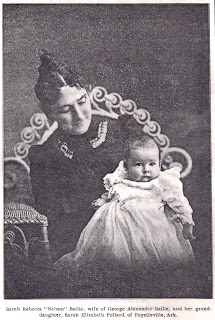 My grandmother, Sarah, was born in 1900. This book is one of my most cherished possessions. Who knows? Maybe I'll publish it into a retro cookbook. Great Gramma's Cookbook. It's 110 years old. The leather cover has long since deteriorated. What I found with this when I inherited it. 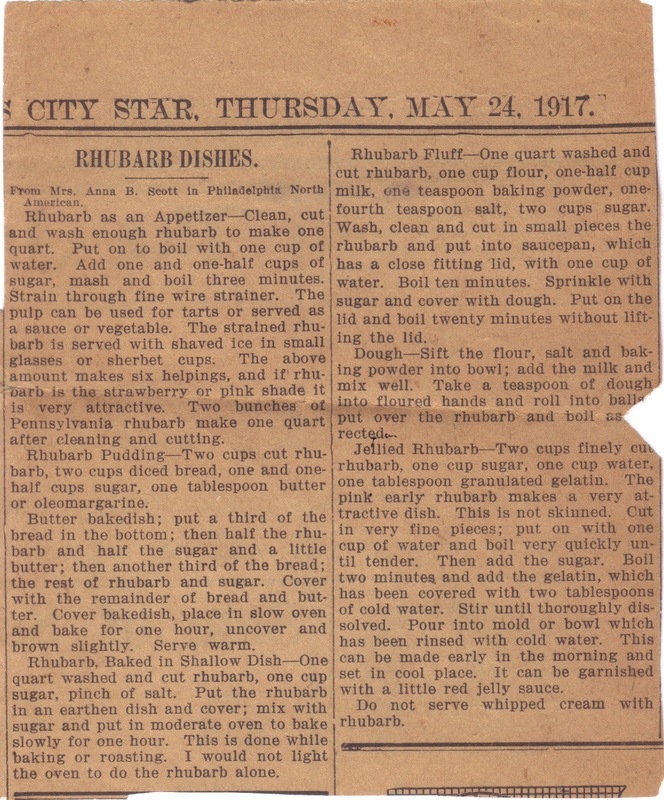 Newspaper clipping from the Kansas City Star, May 24, 1917 for Rhubarb dishes. The baby is my grandmother, Sarah Pollard Reiber. Also an excellent cook! She lived in Berkeley, California (where my father was born and raised) and I remember going to her house for Thanksgiving dinner. The other lady is her grandmother, Sarah Bailie. 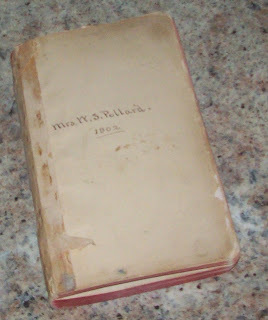 This pic was scanned from the family history book her husband , George Bailie, wrote back in 1902. They lived in Augusta, Georgia. So, what's the difference in knowing how to cook, and knowing how to read a recipe? A great deal, I'm afraid. Many know how to open a cookbook and read a recipe, which is not a bad thing. I have many cookbooks myself. Knowing how to read a recipe takes some work and skill. You have to know what it means to beat or fold. You have to know the difference between a tsp and a Tbsp. 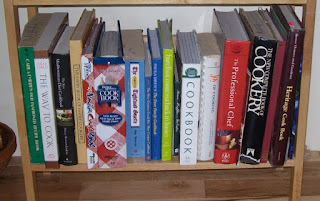 Many cookbooks contain just recipes, while many tell you how to cook (i.e. : Julia Child's The Way To Cook) and some are kind of in between, giving hints, tips and glossaries (i.e. : Better Homes and Gardens Cook Book). To me, a cookbook, all of which are invaluable, by the way, is a reference book, much like a dictionary. They are marvelous for when you are just starting out and learning, and for finding something you haven't made before or made in a while. Or, if you are like me, for that recipe that requires precise measurements and you just can't remember. Another source of recipes is the Internet. Millions of professional and home-based recipes are to be had for the search words! Links below. Knowing how to cook involves developing a skill whereby you don't need a cookbook or a recipe to make a dish. It's like any other skill, it takes knowledge and practice. It takes being kind to yourself when you mess up or burn something. I've burnt and ruined my share of dishes, believe me. You start small. You learn how to boil water. Seriously. I knew someone once who thought in order to get two tablespoons of boiling water, one had to put two tablespoons of water in a pan and boil it. After it boils, there isn't two tablespoons of water anymore. Soon, you move on to other things like boiling foods in water, then simmering, then making complete dishes. You learn what spices, herbs and condiments go with what food. Hint on this: it depends mostly on your taste. You can follow a recipe, but the tastes of the person who wrote the recipe may be different than yours. I like my tilapia baked with white wine and butter, with a bit of thyme and garlic. Hubby likes his with dill. See? Both are correct. You learn how much is too much or not enough. Trial and error, I find, are the best ways to really learn to cook. Yes, use a recipe. Use cookbooks! These are your "school texts" to learning a very valuable skill. Know the rules - cooking at certain temperatures, what works and what doesn't (i.e. : increasing oven temperatures doesn't necessarily make foods cook faster, it could make the outside burned and the inside raw!) Store away common information for later use and "think out of the box". Keep a notebook or note cards. Experiment. If that roasted chicken recipe says to roast at 350 degrees for 35 minutes, try varying the additives or marinades. Serve it with roasted potatoes instead of rice. The only limit is your imagination. Soon, you'll write your own cookbook. Knowing how to cook means you can use good, wholesome, healthy foods in your meals. It means knowing how to use these foods, how they cook, what changes when they are cooked, what you like with them, and not having to rely on a box or can. 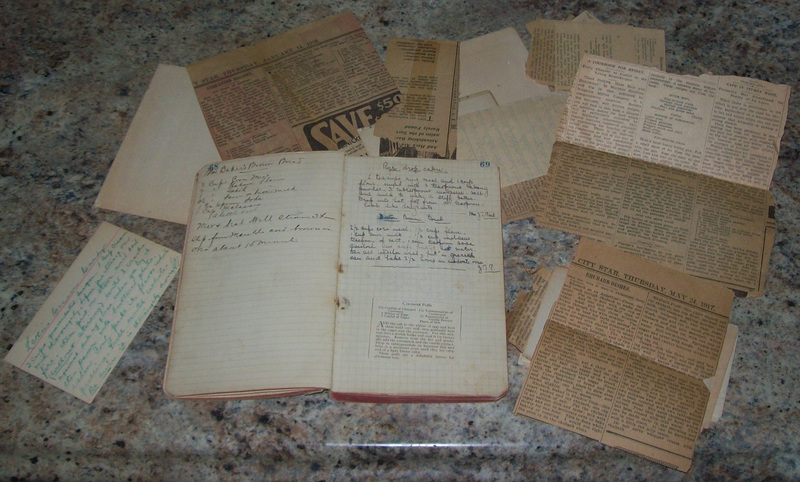 I learned to cook using two things - cookbooks (mainly BH&G, a very early version, late 50s/early 60s I believe) and observation. My mother cooked. I rarely saw her use a cookbook. I developed a love of cooking from that very first batch of cookies made from scratch. In turn, I have taught my daughter the love of cooking. And, at a young age, she is very good at it. For fun, I took a course in gourmet cooking and loved it. I learned more about cooking, especially commercial cooking and catering. So what's best? Both. Find your own balance. The Way to Cook by Julia Child This is my all-time favorite cookbook. 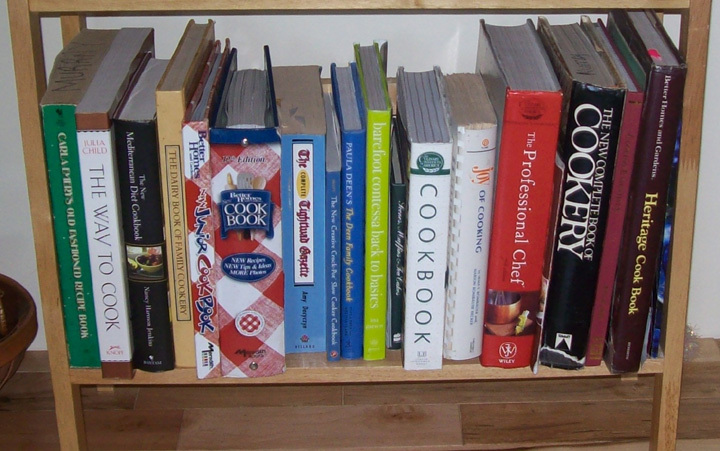 Most cookbooks are a collection of recipes. This one shows you how to do it. The Joy of Cooking I like the original version of this cookbook. It's the cook's bible. Just about anything you can imagine is in this. Better Homes and Gardens I grew up with this one. Again, I prefer the original (because I don't like using prepared foods in recipes) but it's still a great, basic resource. 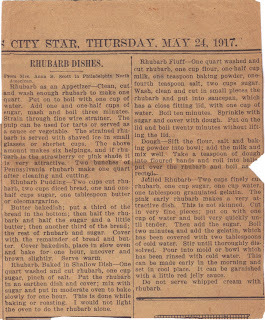 The Tightwad Gazette Not exactly a cookbook, but it does have recipes. This is an excellent source (if a bit dated) for people looking to save money and live frugally. There are tons of wonderful bits of information and tips. There are a number of cookbooks and web sites for cooking on your manifold, or car/truck engine. I do not recommend this, nor do I include such information in my book, for many reasons. 1. It's limited as to what you can cook. Only a few things lend itself to cooking something that can't be watched while you are driving. Ever try to boil water on a manifold? Using foil, even multiple layers, can be iffy as foil tears easy. You may find your meal dripping down the engine block, or falling off and a few miles back feeding scavenger birds and coyotes. Many need stirring or turning. This can be very inconvenient on the road. 2. Cooking food needs a constant temperature. Many dishes need certain temperatures and certain cooking times, and food can be ruined by overcooking, too high or too low temps. While an engine may reach a certain temperature, as will a manifold, this temperature is usually only constant while the vehicle is running and only shortly after it stops. Another thing to consider is the outside temperature. A very cold, snowy day or a very hot, summer day will change the temperatures around the engine/manifold as well. A problem with this could be uneven cooking. 3. Vehicle engines/manifolds are not built to cook on. In my car, the manifold itself (which is part of the exhaust system) is slanted and difficult to get to, which doesn't lend itself to holding anything for cooking. Also, my engine is covered by a plastic safety cover over the spark plugs and wires. It doesn't get hot enough to cook anything. Cooking while stopped means idling your car, which isn't the best thing for it long-term, not to mention wasting fuel (so much more expensive now than using proper ways to cook). 4. It can be dangerous. 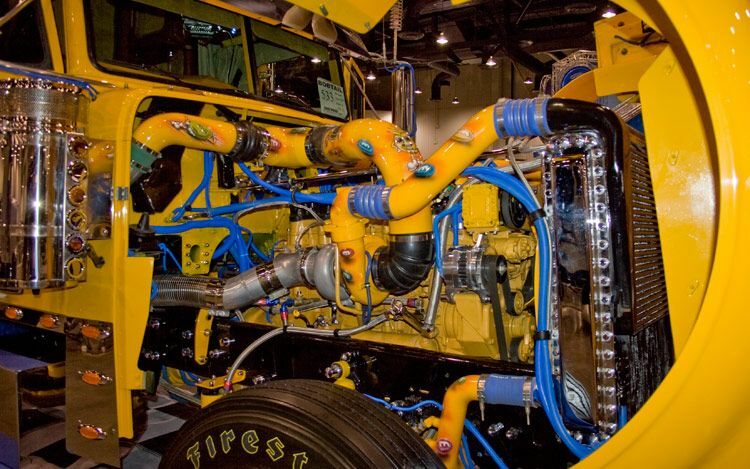 Manifolds and engines get very, very hot. If your vehicle is running when you check on or add/remove your meal, you could get caught in a fan. Leaking "dishes" can cause havoc on electrical connections. Messing up a sensor or the computer unit in your vehicle (most all come with those now, even big trucks) can be very expensive to fix. 5. It can be unhealthy. Cooking in aluminum can leach substances that can cause health issues. I use aluminum foil to cover things, but rarely to cook in. If you get a hole in your foil, you food could be contaminated by grease, exhaust fumes (and particles), bugs, etc. Not to mention the cooking times and temps that are necessary - some foods are very unhealthy to eat if they are under-cooked and even some overcooked. 1998 Freightliner Classic XL Engine. You have to climb up on that tire to get to it. That engine gets hot enough to cause serious burns. 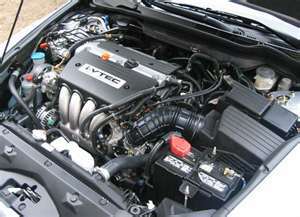 Typical car engine and manifold. Not a lot of (clean) places to put your food, even wrapped in foil. Those grey pipes in front is the manifold. They get VERY hot. I recommend the methods as outlined in the book. There are so many safer, healthier options for cooking than taking a chance that could end up disastrous! Some have asked why did I have my book published as a paperback, like a novel, and not as a hard cover with big, pretty color pictures, like most cookbooks? Well, I'll tell ya. I've found most pretty-pictured cookbooks to be for show, rather than for information. Yes, there are fantastic cookbooks with lovely pictures. But a cookbook that is filled with valuable information and good recipes will stand on its own. 1. It's cheaper to produce and sell. My paperback is available for $8.99, and I can apply a discount if I wish for a bit cheaper (which I have, btw, in Where To Buy). In order to produce a really nice hard bound, color picture book, I would have to sell it for over $50 with my current publishing options. Putting color to the black and white version of this paperback would be over $30. Perhaps with a regular publisher, I could get one out cheaper. So why not just post the book info on the web site? Well, not all drivers (and other people) have Internet, especially on the road. I'm not so concerned about making money off this book. My concern is getting it out to the people who need and/or want this information. What folks are paying for is the information I've provided, my expertise, if you will, with the printing costs. Using a Print on Demand service, I can provide this book in a professionally bound paperback that is cost effective. It is actually cheaper than printing it myself with my printer and binding equipment. With this method, I can provide the best information at the cheapest price to the customer. 2. It's more handy in a truck. A truck driver, especially, doesn't need a big, fancy, pretty book to look at. 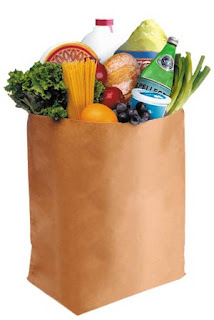 He/she needs an easy to store, easy to read information guide on how to eat healthy and how to get that healthy food. 3. One of the best cookbooks I know of, the one I consider my "cooking bible" is a paperback, black and white with very few pictures. 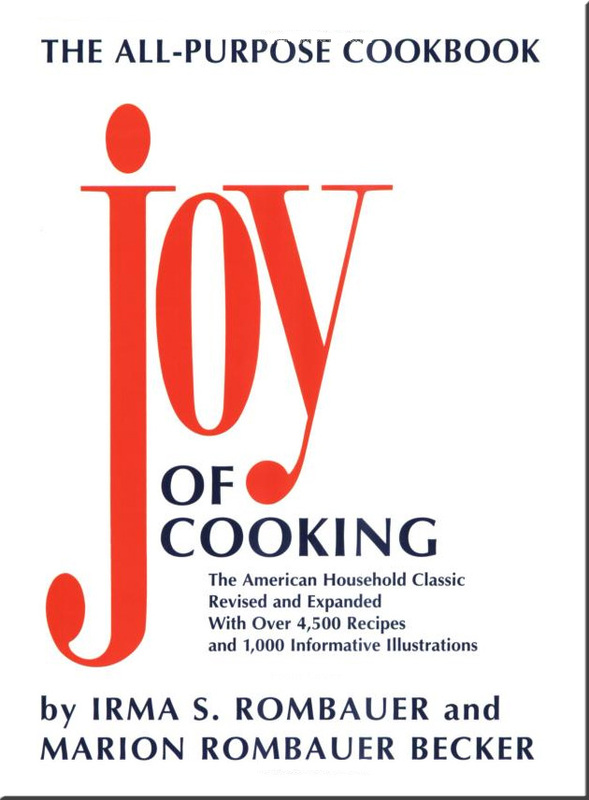 It's called "The Joy of Cooking" by Irma S. Rombauer and Marion Rombauer Becker. It's huge. It has 915 black and white pages with some hand drawn illustrations sparingly peppered throughout the book. The value of the book isn't the pretty pictures to entice you to buy it, it's the fantastic information and tons of helps and recipes that it contains. It was first published in 1931 and is still in print today. I do prefer the older versions to the newer ones, as I like real cooking rather than combining prepackaged processed foods ("the all-purpose cookbook" rather than the "All New, all Purpose...". I highly recommend it to anyone who loves to cook or wants to learn to cook. Most cookbooks have one picture of the finished dish for each recipe, while some have pictures for each process. I do post some "in process" sequence pictures here on this site, and may be developing a "how to cook" cookbook in the future which would merit step-by-step pictures. Will there be anymore? Certainly. I am in the process of publishing the companion book in the future with further information and many more recipes, and possibly in the distant future, combining the two. The Companion is in publishing process through CreateSpace Independent Publishing Platform, ISBN: 978-1479161430, (c) Lisa Murray 2012. I am accepting contributions of info and recipes to the companion book now. Almost 3 years of working off and on on this project and it's finished. Well, the first edition is finished. Now it's in print. I'm amazed how easy it was to get it published as an eBook and POD paperback. I recently had some temporary health issues that gave me time to sit and work on this project and get it done. Within three weeks I came up with the cover design, direction and content, and found a way to get it out to the public. It just all fell into place, and here it is. I only included a few of my own recipes for a sample. There are so many wonderful cookbooks, Internet recipe sites and options for recipes that can be easily adapted to my methods. I never thought to write a book. I'm a reader, for certain, but write? I'm not much of a writer. I suppose if I had an original idea... This book came about almost quite by accident. As most know, my hubby is a truck driver and has been for many years. I was one myself for a while, quite a few years ago. Little things got me thinking that I really needed to write down and share my knowledge and experience. Once, a few years ago, I was watching an Emeril Lagasse show on Food Network when he was answering a letter from someone wanting dishes for her truck driver, and he offered salad in a baggie (which, by the way, is an excellent idea). That was one seed planted. I had to cook for myself and my partner in the truck when I was team driving, many years ago. Not to mention the many people who asked where my hubby got his meals when he'd take 10 minutes for lunch. One of the problems with being a truck driver is having time to take care of one's self. Trucking is a demanding job; long hours and most times away from the family. Not to mention the stereotypes pinned on them due to a few unsavory drivers who give the rest a bad name. It's too easy to grab fast food or junk from the shelf at a truck stop, resulting in bad eating, and therefore bad health. Since about a year or so ago, I've been having increased issues with my Parkinson's and other problems, that and being in my late 40s, resulting in having to use a cane to walk all the time. I got tired of being sick. I started researching about foods and diet and how it affects one's health. This, coupled with my over 40 years of love of cooking, prompted me to ensure my husband (as well as my family) had good, healthy food to take with him on the road. The food not only had to be good, and flavorful, but also portable and easy to reheat. Charlie runs a local route, 50 miles one way, but does that about 10 times a day, including dropping and hooking up trailers, waiting on loading/unloading, and all his necessary duties as a responsible driver. He's busy. This resulted in finding dishes that were sturdy, portable, stood up to grease and rough handling, could go in the microwave, and were small enough to put in his cooler in his truck. People noticed. Charlie would heat up his meals in a microwave at a shipper or receiver's break room (he's well known and liked), and other drivers and workers would ask what he was eating. It looked good. It smelled good. The way my husband inhaled it, it tasted good. He'd let others sample the food, especially the cheesecake. Charlie would tell them how I prepared food for him. With that, we found a market. People who needed this information on how to cook for traveling. So I started to write it down. As I said, it has been about three years in the making. I'd start to work on it, but never quite got where I wanted to go with it. It's amazing where a few seeds will lead. May the seeds I offer help you "grow a garden" of good food choices, better meals and excellent health in your travels. So, after a few years of thinking about it and writing here and there, a mad rush in three weeks and the book is up. I guess it was fortunate I had an illness that kept me from all else, so I could focus on getting the book done. You can see the About page for details on that. Paperback copies are available as well as eBooks, and Charlie will be selling paperbacks as well from the road. I can't believe in just 2 days I've sold 26 copies already, both eBook and paperback. It's hard to believe I finally got it finished. Well, mostly finished. There will be updates, possibly a revision in the future, and maybe a color, hardbound edition. I am toying with either making a revision with more stuff, or just a companion book to go with. Maybe that and put it all together in one book for the hardbound edition. It was incredibly easy to publish my own book. I used Microsoft Word to write it out, and PhotoShop to process the pictures and graphics. Places like Smashwords and Kindle (Amazon) make it very easy to publish an eBook, and Lulu and CreateSpace (Amazon) make it very easy to produce a Print on Demand (POD) book. All of them let you create and sell for free, only taking a percentage of any sales. They have cover creation programs to help with getting a really nice cover, too. If anyone is interested in publishing their own book, I would highly recommend these sites. Lulu also does eBooks, but I think Smashwords has a bigger distribution area, as does Amazon's sites. With eBooks, Smashwords has a lot of different formats, more than Lulu. Amazon's Kindle is just for the Kindle. Make sure you download their formatting requirements, which they give for free. I followed them to the letter and didn't have to redo anything - got approved first shot. They also have professional services available for a fee, if you get stuck. I only know about these that I've presented. Unfortunately, I really don't know about the others out there. Meanwhile, I am updating this blog/web space with as much as I can cram into it. My publisher is me, usually listed as Thistle Rose Studio. TRS was my old business up in Vermont and then Kentucky, where I made sewn and knit housewares and gifts for sale. I still have a blog up for TRS, even if I don't actually have the business anymore, and use it for special orders or instruction. You can find that here at http://www.thistlerosestudio.com/. It's also my personal site, so there will be all kinds of posts and pages there. UPDATE 8/24/12: I am posting an update here as I have discovered I like CreateSpace much more than I like Lulu for the paperback. Why? CreateSpace's shipping is faster, cheaper and they have tracking available. Lulu falls short here. I like their book building site better, also easier to use and update. I think the distribution options are better as well. When the Lord was creating Truck Drivers, he was into his sixth day of overtime when an angel appeared and said, "You're doing a lot of fiddling around on this one." And the Lord said, "Have you read the spec on this order?" " A truck driver has to be able to drive 10-12 hours per day, through any type of weather, on any type of road, know the highway traffic laws of 48 states and 10 provinces, he has to be ready and able to unload 40,000 lbs of cargo after driving thru the night, sleep in areas of cities and towns that the police refuse to patrol." " He has to be able to live in his truck 24 hours a day 7 days a week for weeks on end, offer first aid and motorist assistance to his fellow travelers, meet just in time schedules, and still maintain an even and controlled composure when all around him appear to have gone mad." " He has to be in top physical condition at all times, running on black coffee and half-eaten meals; he has to have six pairs of hands." The angel shook her head slowly and said, "Six pairs of hands... no way." It's not the hands that are causing me problems," said the Lord, "it's the three pairs of eyes a driver has to have." " ' You'll be all right ma'am,' when he knows it isn't so." " Lord," said the angel, touching his sleeve, "rest and work on this tomorrow." " I can't," said the Lord, "I already have a model that can drive 650 miles a day, without incident and can raise a family of five without ever seeing them, on 30 cents a mile." The angel circled the model of the truck driver very slowly, "Can it think?" ,she asked. "You bet," said the Lord. "It can tell you the elements of every HAZMAT load invented; recite Federal Motor Carrier Regulations rules and regs in its sleep; deliver, pickup, be a father, offer timely advice to strangers, search for missing children, defend a woman's or children's rights, get 8 hours of good rest on the street and raise a family of Law respecting citizens, without ever going home ... and still it keeps its sense of humor. " "This driver also has phenomenal personal control. He can deal with delivery and pickup areas created from scenes painted in hell, coax a lumper to actually work for his money, comfort an accident victim's family, and then read in the daily paper how truck drivers are nothing more than killers on wheels and have no respect for the rights of others while using the nations highways." Finally, the angel bent over and ran her finger across the cheek of the driver. "There's a leak," she pronounced. "I told you that you were trying to put too much into this model." "It's for bottled-up emotions, for fallen comrades, for commitment to that funny piece of cloth called the flag, for justice, for the family without its father."